The Sloan Digital Sky Survey. In the summer of 1990, after learning that the mirror of the Hubble Space Telescope had been ground to the wrong shape, James Gunn lashed out at NASA and fellow astronomers alike. 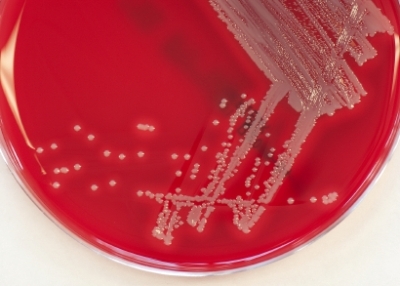 “We are a discipline of technical incompetents …” he stated in a letter to his community. “It [the Hubble mirror] was an ASTRONOMICAL failure; it was an ASTRONOMICAL satellite, and it does not matter a whit that it was probably some fool at [NASA contractor] PerkinElmer that caused it and some entirely expected failure of NASA’s criminally infantile QA program that failed to catch it.” Perhaps not surprisingly, Gunn gave up his privileges to use the telescope, not knowing that NASA would ultimately execute an ingenious fix. 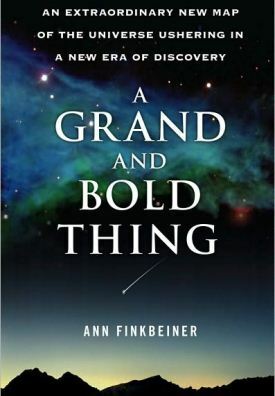 In the following Q&A exchange, Finkbeiner discusses the book, the benefits of the Sloan Survey, and how it has allowed so-called citizen scientists to contribute to projects like Galaxy Zoo, which invites members of the public to assist astronomers in classifying galaxies. What inspired you to write “A Grand and Bold Thing”? I attended a talk by Jim Gunn at Johns Hopkins University, and while I listened, I realized I hadn’t heard any news from him for a long time. So afterward I asked him why he’d gone off radar. He told me he’d been working on getting a survey going using a 2.5 meter telescope, and I wasn’t impressed. I thought it was an odd use of his splendid capabilities. I was impressed later, though, when I found out that other excellent scientists were doing the same. I started wondering why they were giving up their careers for a sky survey. How has perception of the Sloan Survey changed over time? Since I first heard about it in the late 1990s, the perception of the project has changed dramatically: today, it’s hard to overstate its importance. But early reactions to the survey were what mine had been: Little telescope; not spectacular resolution; can’t go very deep in the past. Astronomers who knew the value of a survey were quicker to see the potential, but the many, many management problems led to the community taking pot shots at the Sloanies. Then when funding agencies started refusing to give astronomers money because the Sloan was going to do their pet projects better than they would, Sloan became a dirty word. Now astronomers say it has changed the way they do their work. What are the most important benefits of the survey? It was, and still is, the only systematic, beautifully-calibrated survey of the sky and everything in it. And it’s the first survey to be digital. Astronomy before Sloan was photographic, meaning if you were at a wealthy university that owned a telescope, you decided which objects in the sky you liked and took photographs of them, and kept them for yourself. Now you can download the objects you want to study onto your computer for free. So whether you’re an astronomer or a regular citizen, you can study anything you want with some of the most trustworthy data going. And if you don’t want to learn astronomy jargon and query languages, you can go to GalaxyZoo.org and join hundreds of thousands of people doing astronomy using this data. The Sloan has democratized astronomy, not to mention triggered the production of bigger surveys. Tell me some of your favorite stories related to the survey. My favorite is Galaxy Zoo, which started when a couple of Sloanies needed to know which galaxies were spirals, which were elliptical, and which were irregular. But Sloan had a million galaxies, which is a lot for any human to sort through. So the Sloanies put the million galaxies on the Internet, and asked for help. There are now 300,000 Galaxy Zooites of all ages and all levels of education from all over the world, and they’ve gone way beyond classifying shapes. Hanny van Arkel, a Dutch school teacher, found a strange blue object the Zooites called Hanny’s Voorwerp, and after follow-ups with x-ray, ultraviolet, and radio telescopes (not to mention the Hubble), the Voorwerp turned out to be a place in an enormous cloud of gas which was being hit by an x-ray jet from a galactic-sized black hole. Zooites also found a new kind of greenish, round galaxy, and found enough of them that they’re now officially called Green Pea galaxies. Green Peas turn out to be small, previously unknown galaxies in which stars are being born at a furious rate. Zooites have also begun collecting and studying irregular galaxies; astronomers knew of 161 irregulars, the Zooites have found 19,000 of them. Not Cool—Uncomfortable truths about our addiction to air-conditioning. AngelWing Can Prevent Side Underride—Aftermarket technology that attaches to the sides of trucks can make underride crashes more survivable. Uravan, Colorado—Once a mission critical part of the Manhattan Project, does its legacy now stand in the way of a region’s progress?